It's 20:54 in Silver Springs, USA right now. 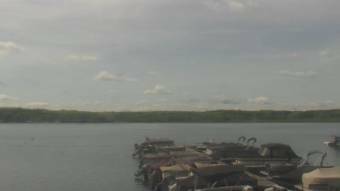 Silver Lake Marine A webcam in Silver Springs, New York - camera location: Silver Lake Marine. Swain, New York: Swain Resort, 17.2 miles away. Conesus, New York: Conesus Lake, 21.1 miles away. Avon, New York: Avon Central SD, 24.4 miles away. Caledonia, New York: Caledonia Mumford Elementary School, 24.6 miles away. Honeoye, New York: Trident Marine, 30.2 miles away. Scottsville, New York: Wheatland Chili Jr Sr High School, 30.5 miles away. Churchville, New York: Meyers RV Super Stores, 32.3 miles away. Spencerport, New York: Monroe 2 Orleans BOCElementary School, 39 miles away.